My journey with Prosperity has been about so much more than money. I’ve been a serial entrepreneur since 2006. When a peer first referred to me as a serial I truly didn’t know if it was a burn or a compliment. Something I can giggle about now, thank goodness! I didn’t really know exactly what it meant… so as soon as I hung up the phone the curiosity took over. I immediately googled it and to my delight I discovered Elon Musk and Oprah Winfrey fall in this category. Okay that’s super cool, but now I got some big shoes to fill right? I’m sharing this little story because it changed the way I felt about myself! This minor shift in perspective has had a huge impact on me… starting with my self confidence! For years I would get ideas, start them, and get bored when the energy waned. I would always follow my instincts and walk away, ’cause I do actually walk my talk… I wanna be happy and fulfilled. Often wondering if I was totally off my rocker. The day I understood my abilities as a serial entrepreneur changed the entire landscape of my business decisions. It gave me the confidence to move forward with an abundance of ideas. NO, Not all at once! But one step at a time! For a few years I’ve focused my energy on allowing the abundance of ideas and energy to come forward. I’ve grounded several of these projects into reality. I have an abundance of other ideas as well…so now it’s time to create the capital to support bringing my visions to fruition. I’m here on this planet at this time to support the world wide acceptance, integration, and expansion of the new energy. The vision for a peaceful, beautiful, healthy planet… for every living thing. I believe deeply that the core of this change comes from people like you and me! The people who are searching for something more and willing to take a chance and go for it. The entrepreneurs and seekers who are taking their power back. Those of us following our passion, creating change in our own happiness, and spreading that care to others. I know you’re the heart and soul of this planetary shift. I feel you and I hear you. It’s my passion to support you to the best of my capabilities. I have to put my money where my mouth is right?!? 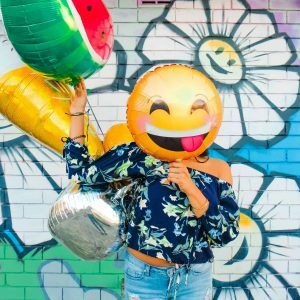 As you may recall I’m not afraid to call myself out or to be Vulnerable, like you learned in my Vulnerability : An Expression of Self-Love Blog. At this moment in time I’ve dedicated my focus to collaborating with other Wellness based entrepreneurs… I co-created Wellness Connects, a community wellness resource directory with Joyce Appel! We’ve connected with and supported over 60 Practitioners and businesses in less than 2 months! I have an office suite where I collaborate with other amazing Wellness Entrepreneurs… Jody Tone and Tracey Wright. 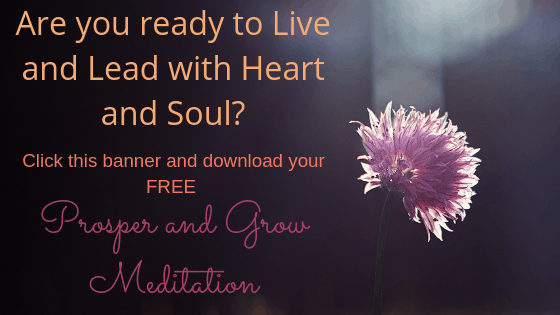 I’ve created Harmonious Heart Living, my coaching platform… that focuses on self-love, self-care, entrepreneurship, prosperity, intuition, and self development. My clients are mainly entrepreneurs and people feeling pulled to follow their passion in some way. They’re feeling a call to pursue what’s in their heart, even if it’s not a career. My purpose is to help you get from where you are to where you want to be. So we can continue to co-create the new energy on Earth. What I want is to be able to keep doing that in bigger and better ways! For the last few months I’ve shifted my focus from abundance to prosperity! Because I have created an abundance of projects. Along with beautiful friends, we’ve created a strong foundation for several businesses! I’ve worked with my own coaches, co-created with peers, mentored entrepreneurial newbies, and created foundations with them as peers! Now I’m ready for all of us, including YOU, to create the prosperity that aligns with and supports all the amazing work we’re doing! But not just the work?!? Seriously we all gotta play!!! I know you love your work, but remember to have some inner child fun!! It’s time for the abundance of energy, time, and effort to be balanced out with even more fun, prosperity, and joy! The more you receive the more you have to share!!!! Yes…THE MORE YOU RECEIVE THE MORE YOU HAVE TO SHARE! Just like the Self-Love Series Program Motto “ love yourself more so you can love others more”. The more we allow ourselves to receive the more we have to give to others. The more resources you have, the better taken care of you are, the less stress and strain allows for more joy, peace, prosperity, and sharing to happen. Give from an overflowing cup! Embrace who you are and all of your gifts. There are people who are searching for you, the same way you sought your mentors and friends. Be willing to get help and support whenever you feel stuck! This is what has kept things flowing for me! Otherwise you wouldn’t be getting this article right now! Take things one step at a time. I didn’t do all of these things overnight and I’ve experienced struggles! But it’s all been worth it. Go with the feeling in your gut! Yes you can get advice and look at the logical side of things. I encourage you to do your due diligence, but at the end of the day I always say follow your gut and heart! Even if it doesn’t pan out perfectly you’ll always get what you need. If I played it safe over the last 12 years I wouldn’t be doing what I’m doing. You would not know me. Wellness Connects wouldn’t exist and a lot of people would have different lives. Think about your family, friends, and clients…how would things be different if you played it safe? How could they improve if you take a chance and prosper at the level you’re capable of? I’m just one person… you’re just one person…now imagine what we can do together? 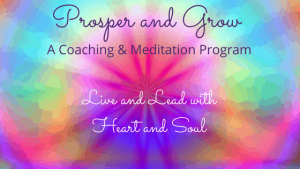 Prosper and Grow 4 Week Program! Yes I said affordable! Why? Because prosperity is not just about the exact number of dollars you make! Getting paid for what I love and am naturally talented at! Supporting as many people, who are serious about their success, as I am humanly capable of. Doing what I absolutely love. I’m good at tuning in to the newest energy on the planet and grounding new creations that support us now! It’s sooo fun and I want to share this ability with you! When you prosper I prosper. There is an energetic exchange when we work together that I honor. I appreciate your participation and what I learn from you is reflected in this Prosper and Grow offer. . I would love to create a prosperous journey with you! This price is good until October 31, 2018… check it out today! Wellness Connects members also receive a discount.. check your Wellness Connects email for details! Let’s Prosper and Grow together!